One would have thought in the year 2017, the whole “light skin vs dark skin debate” wouldn’t exist. Yet and still, the topic is routinely brought up when it was thought to have been laid to rest years ago. After all, whether our skin is light or dark, we’re still black or to be politically correct “African-American at the end of the day. To think that one’s skin color, can determine a character trait would be hard to prove right? Now normally this wouldn’t be news, but because he’s a rapper and he made such a broad statement about the characteristics of dark skin women, it got me to thinking. Sensitivity is a not necessarily a feminine trait (cue Ralph Tresvant) however it’s becoming more and more common that darker skinned women are judged for being “aggressive” for lack of better words. Serena Williams, pro-tennis player and multi-championship winner despite her success on the court, has been criticized by certain men for her appearance constantly. Too dark, too masculine (even though she has a body to die for) just too much. But for who? 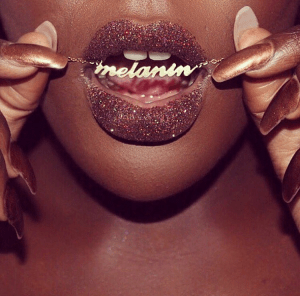 Why are men intimidated by women who are darker skinned? Do they fear we may outdo them in a category where they once lay dominant in? Or are they just afraid to approach for fear of rejection? Is that where the difficulty lies? We’re unable to penetrate with a lackluster effort so instead of stepping their game up, dark skin women must be the problem. Having a preference is one thing, but having your preference based on a false misconception is completely different. There are a plethora of character traits that dark and light skin women possess, feminine and difficult being two of many. Dark skin, light skin, pale skin, brown skinned, whatever color skinned any woman may be, it does not define her. Beauty has always started within and her skin color is just the surface. 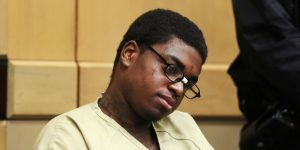 Even though we have rappers like Kodak Black…. Thankfully we have several other male celebrities of many hues who appreciate women of all colors. Previous Post Celibacy: Can You Handle It? Next Post It’s Been A Hell of a Year…. What I found about the whole light skin and dark skin debacle over Black women is that not every woman is the same in terms of their personality or physical attribute. Black men often seeks for the one who is light skin (even thought they’re darker than charcoal) in order to make their offspring lighter, plain and simple. They dislike dark skin because of their color not because of their personality. Society makes it that way. Our own ignore us in search for something “superior” and instead other people (races) tend to find us just for curiosity instead of seeking in us if we’re marriage material. It’s very tragic for us, because instead of being together as sister, we’re very disperse and bickering each other because of our skin tones.